An ultra-telephoto CINE-SERVO lens, ideal for, festivals, concerts sports events and wildlife applications the CN20 offers stunning 4K performance. 20x zoom and a 1.5x built-in extender for an unrivalled 50-1000mm focal length (75-1500mm with extender). Ultra Prime Lenses have the widest focal range of any prime lens set available. They are designed specifically for motion pictures but are an excellent choice for corporate and commercial work. Canon K35’s Set of 5 fast primes are seriously popular and very cool. They are used for films, commercial and music videos and for any project where a vintage super fast lens is required. They give a softer look than modern lenses with amazing bokeh and flattering skin tones. Carl Zeiss CP.2 Super Speed 6 prime lens set are fast and sharp but have a compact and fairly light body. These are reliable lenses that will give pleasing results. Leica Summicron C 6 prime set is a joy to film with, and give that special 'Leica' look that Directors love. Optimised with high-speed zoom, iris and focusing to allow operators to respond rapidly during fast-paced scenes. Ideal for use in the field for productions such as documentaries and event filming. The brand new 4K rated version, PL mount with the latest firmware for it to talk to Sony F5 & F55. 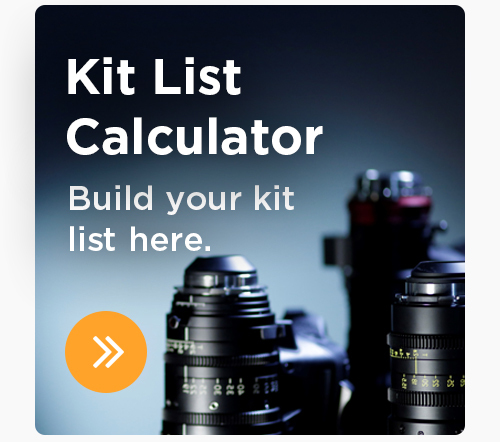 Works perfectly with Arri Alexa and Red Epic, among others. The Canon CN-E18-80mm T4.4 is a great all around lens that services the wide of mid range focal lengths. Lightweight and compact the zoom demand its can even be moved the the panning handle of your tripod for increased usability in press conferences and conference work. Canon 4K rated CNE Prime set are an outstanding fully manual EF solution. 14mm T3.1 Wide Angle lens for the Canon CNE Lens range. Set of Super Fast PL Primes. Very light so great for gimbal work or when you're running around various locations. 18.5mm, 25mm, 36mm, 50mm, 85mm, all T1.5. The ARRI Alura 15.5-45/T2.8 is matched to all ARRI prime and zoom lenses. It is a popular choice for film and commercial shoots along with the ARRI Alura 30-80/T2.8 zoom. The ARRI Alura 30-80/T2.8 zoom is matched to all ARRI prime and zoom lenses. It is a popular choice for film and commercial shoots along with the ARRI Alura 15.5-45/T2.8. 15mm, 28mm, 35mm, 50mm, 85mm, and 135mm. 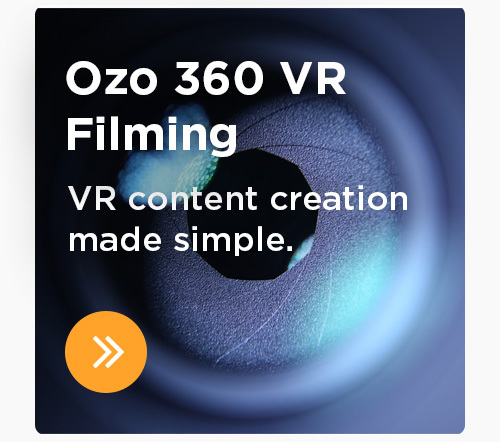 Optimised for video with smooth iris ring. EF Mount. The small depth of field that is achievable is outstanding, and they create a beautiful bokeh which gives your images a filmic and stylish look. Optimised for video with smooth iris ring. These lenses offer incredible video capture that are even better than Canon L glass. The Canon HJ21x7.5B-IRSE HD broadcast Lens is a fantastic 2/3" video lens. The main advantage over the popular HJ22 is this lens does not 'breath', in that when it's focused it does not re-size the image. This is a huge advantage and we think makes the lens a real gem. Canon HJ14 EX4.3B IRSE Broadcast Lens. Canon HJ40 lens is the industry standard telephoto lens. Favourite for wildlife, stadium, sport and festival use. With it's gyroscopic image stabilisation system on a 14-560 zoom range, it is the best in the business. Supplied with zoom and follow focus. The EF 14mm f/2.8L II USM is a very very wide lens with a 114˚ field of view. It is the widest of Canon's L glass and controls distortion well for such a wide lens. The image quality is as good as you would expect from a Canon L series lens. Popular among Photographers and Cameramen alike, Canons 24mm prime is Ultra fast (1.4) and ultra cool. A wide 84" Angle of view means that this is a perfect lens for your wide shots. The 35mm is a standard for both photographers and cameramen. It is is Ultra fast (f1.4) and creates ultra cool images. Works brilliantly along side the Canon 50mm 1.2 and the 85m 1.2 or and of the L series lenses. Canon's L Series F1.2 85mm. perfect for those interview shots, or portrait photography. Its hard to put into words just how cool this lens is. This Lens is Super wide, but with very little distortion. ideal for landscape photography, or if your after some very cool video work. The Canon EF 100-400mm f/4.5-5.6 L IS Mark II USM lens, is superb for getting close up shots of your subject. Canon 100mm F2.8 Macro Lens. Get up close to your subject with stunning macro images. Super sharp and super fast focusing. Call us now for Camera and Lens Hire in Birmingham and The Midlands. The 24-105 Canon F4 IS lens is a fantastic standard zoom lens. It is wide enough for most cicumstances, and gives a much longer reach than the very well respected 24-70. Sigma 18-35 F1.8 - the newest lens from Sigma, remains constant F1.8 aperture through it's zoom range. Provides a 35mm-equivalent focal length range of 28.8-56mm. F4 Version of the popular 70-200 Zoom Lens; a cheaper alternative if you're filming outdoors and don't require the low light capabilities of the 2.8 version. Sony E-Mount 10-18mm F4 lens is an APSC wide angle for E-mount lenses such as the FS5, FS7 and A7S. Sony LA-FZB1 converts the Sony FZ Mount, found on PMW-F55 and PMW-F5 (PMWF55, PMWF5) to Two Thirds Inch (2/3") B4 Adapter, for lenses such as Canon HJ11, HJ14, HJ17 and HJ22. Our 2X III Doubler is ideal for nature, sports and red carpet press shoots in conjunction with our L-series telephoto zoom lens! It increases the focal length of by a factor of 2x great for getting closer to your subject with out being in thee space.